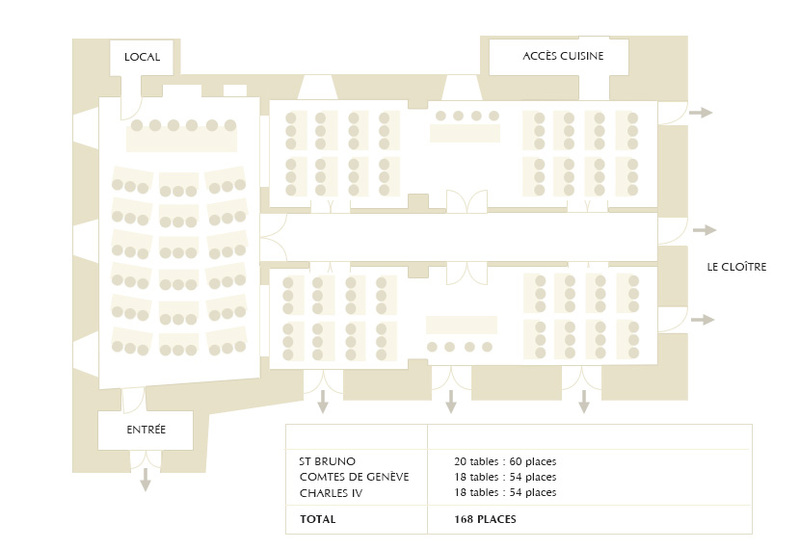 The St. Bruno Lounge has a friendly atmosphere thanks to the cosy fireplace and is ideal for pre-dinner drinks or for a conference of up to 100 people. 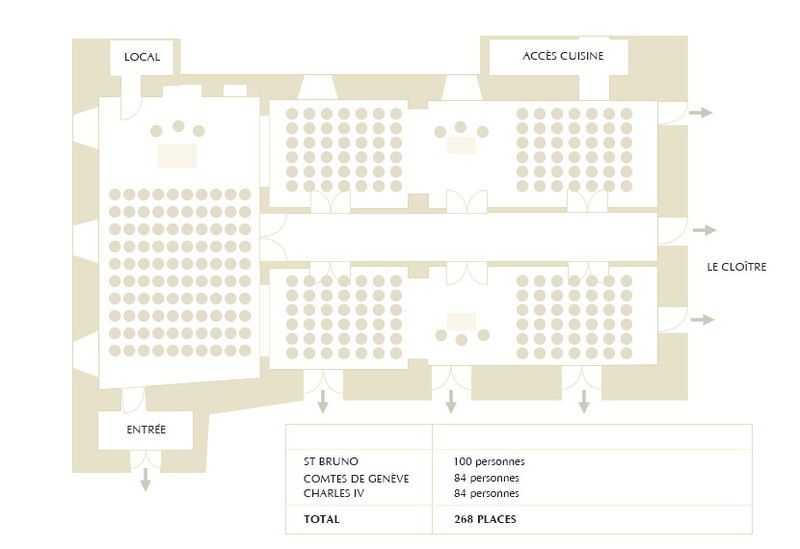 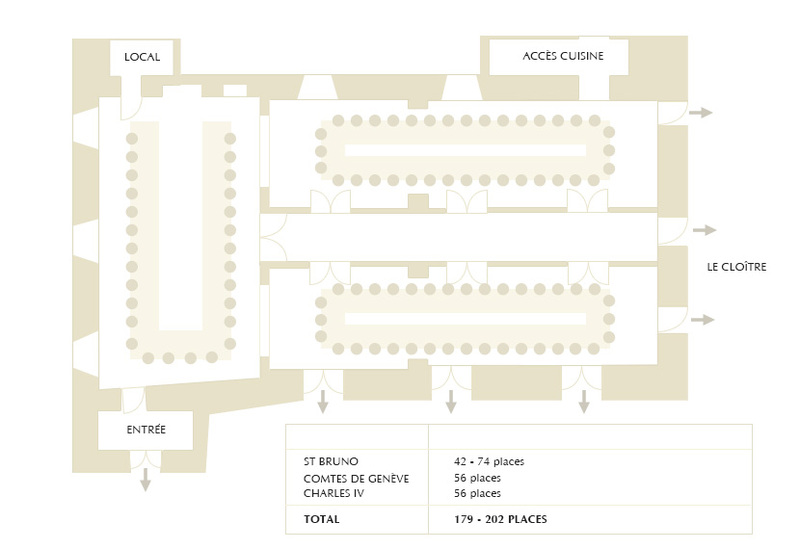 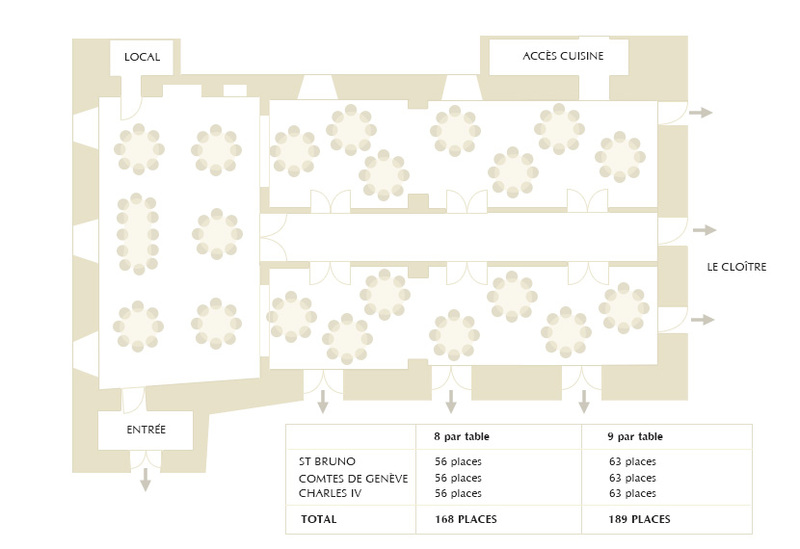 The Counts of Geneva Lounge also offers access to the south facing garden and the Renaissance courtyard. 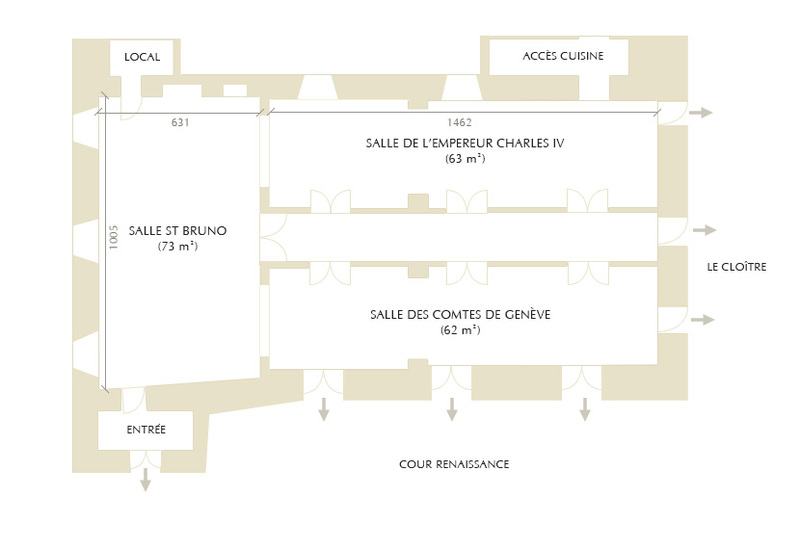 The Emperor Charles IV Lounge offers a magnificent view over the Geneva Valley.